I picked up a Olay Pro-X Advanced Cleansing System last month at my local Wal-mart for $29.97 (cheaper than Shoppers or Rexall). It came with the water resistant scrubber, a scrubber head, batteries and a small bottle of Pro-X Exfoliating Renewal Cleanser. I love this baby. I have never been an ideal skin care routine person, but with this baby I have been getting better at it. I have had a bumpy congested section of my face since the spring (a year now), even after a facial it had not improved. 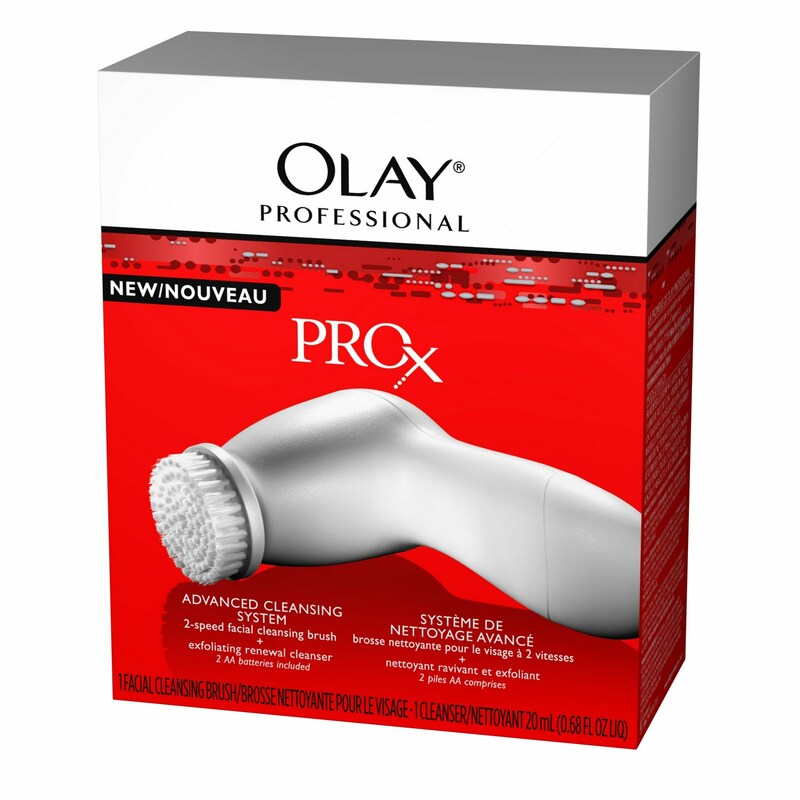 After one week of using this scrubber my skin had greatly improved. Was it gone all together, no, but it is better. I love that there are two speeds and that I can use it in the shower. I've tried it with the cleanser that was included as well as some that I have at home. 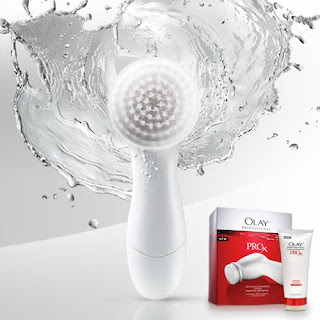 I personally don't mind the Olay one but will not be buying it (I just don't like P&G). If you've wanted a facial system to clean your skin better or just up your routine, this is a not too pricy option that you can get just about anywhere.